At the moment of Christ’s death, God Himself entered the Temple and ripped the curtain separating the Holy of Holies from the people. It was torn as recorded in all the gospels from top to bottom, indicating this was not the work of conspiracy which would tear from bottom to top because of the nature of the curtain. God rent the curtain and at that moment declared a New Covenant. So why are we so determined to repair the curtain? Many ministers I’ve heard declare God to be a Holy God – which He is. They declare Him to be omnipotent – which He is. They declare Him to be unapproachable. They missed something in that declaration. All things made known to us. Initially in person of Jesus Himself, then through the Holy Spirit. Christ came to us in a form where we could relate to Him as a human being and develop the kind of relationship with Him we were supposed, no designed to have with Him through Adam. God, through Jesus and the Holy Spirit, speaks to us. He enters our hearts as far as we will let Him in and He meets us where we are. The Holy of Holies is now the human heart. Anyone prepared to open themselves to Him becomes the Temple itself and God moves in with as much luggage as we allow Him to. The big difference is His luggage consists entirely of gifts for us. Think about God’s primary motivation. Everyone knows John 3:16, but how many of us look beyond into the next few verses? We spend so much time on the sixteenth verse we miss the power of the context. Not to condemn us – something too many churches do. An invitation to leave darkness and enter into His Light. It is clear that the condemnation we feel is not from God. God convicts us of righteousness. Satan is the accuser who will make us condemn ourselves. We believe the lie that we can’t return home. We’re not deserving of forgiveness. Every agreement in that vein begins to stitch up the curtain and separate us from Jesus and His Love. It’s a common theme in other religions. My wife’s best friend is a muslim and in order for him to be able to pray he has to use a special cloth to wash himself in a specific order to be able to present himself before Allah to worship and pray so he is worthy. I pray in the bath because it’s comfortable and nobody disturbs me. I don’t have to bow to the east to pray. Whilst I’d love to visit Jerusalem, Galilee, Nazareth and the Holy Land in general I won’t get a better spot in Heaven if I do. The major denominations in general – there are individual churches within them who don’t do this – tend to be curtain repair men. I grew up in an Anglican church where I served first as a chorister then when my voice broke I became a “server”, the equivalent of an altar-boy I guess. I remember being drilled repeatedly week after week for lighting the altar candles in the wrong order. I didn’t get it. Under my alb I was usually in shorts in the summer, jeans in the winter. I got corrected if the knot on my belt was wrong. It had to sit in a certain position. When I became Crucifer, the individual who carried the heavy brass cross in the ritual I would have to be certain the cross was perfectly straight and at the right height relative to my size. The rules and regulations I realise now some 30 years later were busy repairing the curtain. I was permitted to cross into the area behind the altar-rail, something nobody who wasn’t the “right” person was allowed to do. Those examples seem negative, but my spiritual foundation was laid there, and much of what I write is a direct result of what I learned about God from the years I spent at that church as my faith grew. I didn’t agree with some of it, and wasn’t afraid at the age of 14 to challenge the minister over matters of theology. I respected John very much and I learned a great deal from him about what Jesus was about. It was an intellectual foundation that has allowed me to build a heart-based faith with a rock solid foundation under it that has helped me through more crises in the last 30 years than I can begin to express. But I was still a curtain repair man. Moving away from home and joining charismatic churches gave me a very different experience. The notion of intimate relationship became important. The orthodox teaching I had sat under allowed me to recognise the essential nature of the outward focus while my personal time focussed – and still does – of developing a relationship both emotional and intellectual with my Friend, Jesus. It allows me to sit alone and have a conversational style prayer with Him. Aloud if I’m completely alone. My work has isolated me from many of my friends, and my personal life outside work involves a lot of time consuming work to help my family with assorted illnesses recently so church on a Sunday has fallen away. I get fellowship where I can find it, and God always brings exactly the right person at precisely the moment I need across my path to keep me accountable. It stops me repairing the curtain. Don’t get me wrong. God is a Holy God. We need to respect that, but He’s our Daddy too. Watching children play and just hurl themselves into their daddy’s arms knowing he’ll catch them is beautiful God wants that for us. An intimacy of trust. So quit repairing your curtain. Let the light in and wash the shadows away. What’s to lose? Let Him in so you can receive healing in every area. Your heart is now the Holy of Holies. Guard it with His Spirit. Back to basics for this, the 200th post on this blog. Faith. Trusting in God to give us what we need. We all recognise Faith is essential in our walk with God. We believe the right doctrine (orthodoxy) and try to live it out (orthopraxy) but too often in our own strength. The “progressive” movement places a high emphasis on orthopraxy as being more important, but the two are inextricably linked. As Paul writes in 1 Corinthians 13:3 “And though I bestow all my goods to feed the poor, and though I give my body to be burned,<sup class="footnote" data-fn="#fen-NKJV-28669a" data-link="[a]”> but have not love, it profits me nothing.” Actions without the love that comes through orthodox beliefs and Love – agape love – are worthless. Once a year while I was at secondary school our headmaster would drone on about agape love in assembly. And I mean drone on. And on. And on. It was painful, largely because he didn’t really practice what he spoke of, it was merely lip-service to the word. I’ve been in churches that emphasise doing good works as being the most important thing, and “working out” our salvation through them. Now in some cases this was a genuine set of suggestions, but in others it was a question of we had to do the works because God did his bit, now we have to make up the shortfall. Look at the thief on the cross next to Jesus. He didn’t live long enough to become a missionary or convert anyone else. He had no time to act on his faith. All he had a chance to do was believe and accept what Jesus had done. Faith and nothing else saw him rewarded with eternity in Paradise with Jesus. Somewhere we missed the point. We’ve become obsessed with orthoprax behaviours at the expense of belief being the motivator. Orthodox beliefs will inevitably lead to right behaviour. The beliefs in the correct way of Jesus and His sacrifice, when allowed to seep into the soul, cannot cause anything other than the orthopraxy so beloved by some churches now. And this behaviour has its limits in these churches. Any church practising the behaviour of the first and second century Christians is labelled a cult these days, yet observations by ancient historians and apologists such as that of Aristides of Athens in the second century, where he states “… if there is among them any that is poor and needy, and if they have no spare food, they fast two or three days in order to supply to the needy their lack of food. They observe the precepts of their Messiah with much care, living justly and soberly as the Lord their God commanded them. Every morning and every hour they give thanks and praise to God for His loving-kindnesses toward them…”, a demonstration of a true community as practiced by the Church led by Peter in Jerusalem that led to a mass of people selling all they had to ensure everyone in the church, slave and free, had enough for their families – not because it would “earn” their salvation, but because their salvation was so complete they could not do anything else and accept they were Christians. Somewhere along the line we introduced the concept of the tithe – not a bad concept in itself, just not what Jesus talked of. Jesus said to the rich young ruler to sell all he had and follow Him. The young man left sadly because he loved his material possessions, not because the orthoprax behaviour was impossible, but because it required him to surrender his idol – money. The modern idiom is to do the works and the faith will follow. Tell that to a diabetic who stops his medication to cause his faith for healing to grow. The man will die by inches (I am a diagnosed diabetic but my faith for healing is not yet complete so I take my medication until it is). Or a heart disease patient. Or any sick person who is convinced by wrong teaching that actions produce faith. Faith without works is dead, but similarly, works alone are pointless. The two are inseparable. Without faith it is impossible to please God. We cannot “earn” His Love as it is freely given to us. Our own children don’t have to earn the love of their parents, they are simply loved. Why do we ascribe a different standard to God? Faith gives us vitality. It allows us to move into works. It brings life and a point to our existence. It allows our works to have meaning and for us to be more than an empty vessel making a noise. The Pharisees had works. They “obeyed” their interpretation of the Law of Moses. Paul himself wrote he was blameless in the sight of the pharisaic interpretation of the Law. He had kept the Law, their interpretation of it, perfectly. But it was not enough. His actions were perfected by Faith. Trusting instead in the completion of the Law by Jesus and His actions, Paul was freed to move into real action, God’s works for his life. As a result he travelled the Roman Empire in the Middle East planting churches and teaching the risen Christ to anyone and everyone who would listen. He gave us over half the New Testament books in the form of the letters he wrote, and most of our modern understanding of orthodox belief is based on those letters. Faith is the power-house that provides movement to the body of Christ, or it should be. If we truly Love God, that is if we truly have a complete trusting faithfulness in His goodness and faithfulness, then we will see the mountains around us thrown into the sea. It is not our beliefs or actions that cause the change, but our trust that produces God’s actions to manifest in our lives. First the belief, the vitality of true unwavering faith. Orthodox beliefs. Actions will follow naturally. Orthoprax actions – the right actions – flow from faith. And that Faith revitalises us. In July 2014 I wrote about the Gospel being a Gospel of Absolutes, for it is. There can be no doubt left by the statement John makes in the Gospel. It’s a final declaration of triumph by Jesus. He knows He has completed the prophecies – there is just one remaining, the drinking of vinegar on the Cross. He knows what is to come. He will become Sin so we may be freed from it’s grasp. There is no ambiguity in His words. He does not say “My part is finished, now look for Mohammed”. Some things are just naturally completed. We look for completion in what we read and watch. When a series or movie ends in ambiguity we despair and wait for the sequel. Maximus kills the evil Commodus then dies. It’s an ending we can get behind. Darth Vader finds redemption by killing the Sith Lord Sidious. And we cheer (although what is about to happen in the movies may well make us groan). But ambiguity makes us tense. We long for finality. I watched “Stargate SG1” on TV and was horrified when the series wasn’t renewed because the enemy was left in the middle of a storyline. The makers were obviously aware of this and commissioned a TV movie to round it off. When the second “Matrix” movie ended we were on the edge of our seats – Neo unconscious, no completion. No destruction of evil. “The Empire Strikes Back” was just as bad for us. And that’s the crux. We as humans have an inherent need to see evil defeated. Even before Adam fell we had the need to see evil cast down. Part of the temptation was to be able to tell good from evil. It’s why it was such an effective ruse. We need to see the enemy conquered. The bad guys need to lose in a way they can’t come back from. It’s built into us. 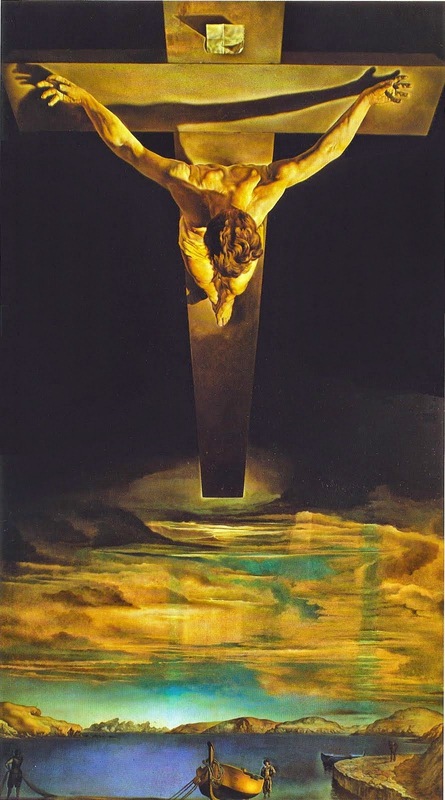 A part of us that is connected with a Holy God in a way that can only be developed in a Holy Relationship – and that was the point Jesus strove to make in His teachings and through His death and Resurrection. It was the point Paul and the other New Testament writers laboured for years to make apparent to their friends, families, enemies and even to us 2000 years later. We can be Holy again. King David was an adulterer, a murderer. He had blood on his hands from countless battles. He fell into sin time and time again. Yet he was described as a man after God’s own heart. It wasn’t from his sin that this came, but rather from his desire for relationship with God. Not “Abraham believed in God”. Belief that God exists, even belief oin His almighty power to save us is not enough. An intellectual acknowledgement of the Truth will not suffice. We must believe God. Trust Him. Accept Him. Not try to earn His acceptance. That’s folly. The Cross was final. The Law is completed in Christ, so by trusting Christ was enough for us and believing Him we can confidently ask God for our needs to be given to us and expect to receive them. This is where false religions get their power. As much as we have a need for finality through our knowledge that God desires us, we have a second need that came with the fall – that we should save ourselves. Cain killed Abel because Abel offered a life for his own – God’s work – where Cain offered grain he had sweated to produce – his own work – and it was not enough. His jealousy led to the first murder. So it is that we have a desire to earn our way into heaven. Whether it’s by reclaiming the Holy Land like the knights a thousand years ago did, slaughtering thousands in a futile effort to win God’s favour, or the actions of a modern jihadist doing the same thing with the weapons of the 21st Century makes no difference. Even feeding the poor, clothing the naked and healing the sick are worthless actions if performed simply to say to God “look what I’ve done”. All so He could have our company.